Home / Web Development / What kind of web portal do you need? What kind of web portal do you need? Internet has taken a great importance in our personal and professional life. A website enables you and your business to be known in the internet and on online world. There are many businesses who are trying to establish themselves in internet. You will have to prepare a website that can compete with all other competitors’ website. In this competitive world, there is another way to get users and attract them and that is web portal. 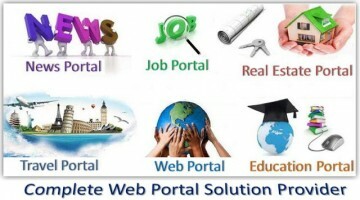 Web portal is a portal where you can get all kinds of information and this information are generally segmented into different categories like entertainment, technology, finance, political, business and so on. If you want people to visit your web portal or attract them, then you have to make sure to prepare a portal that is easy to navigate and that provides genuine and interesting information. You should ask the web portal development in India to prepare such a web portal that is very easy to navigate. You really would not want your visitors to be confused about where they should go after entering the portal. That will just create a hassle and will cause you to lose your potential customers. People love to get things that are easy to achieve. They do not want to think a lot about something. So, if your web portal seems to be nothing but a big pain then they will switch to another portal. Many people have a notion that if things look complicated then they are attractive. Well, that is completely false. People normally think simple things are beautiful and that is the case with web portals as well. A good web portal development services understand this fact and they normally create a simple web portal with all the features. Sometimes, a complex web portal just achieves the feat of confusing users and nothing more. There are dangers lurking around the internet. You will never know when your web portal might get attacked by such danger. Since it is better to be safe than sorry, you should ask the website designing company to make such a design that have tight security. You should ask them to secure the payment methods (if any) because sometimes hacker might try to collect vital payment information. A web portal development services always understand the importance of security in web portal and designs it accordingly. 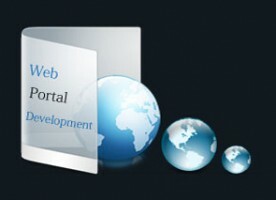 A web portal has many functions and purposes. You can use the portal as per your business’s requirements and needs. If you want to attract users in the online world then you can start by placing an order for web portal in web portal development from India. A good web portal can give the boost that your business has been waiting for.